Offering you a complete choice of products which include DM Plants such as DM Plant and Demineralisation Plants. Demineralization or Deionization is a process of removing mineral salts from water by using the ion exchange method. In case of most natural water sources, it is possible to use Demineralization and produce water of a higher quality than conventional distillation. Flow rates for standard modules are: up to 50 m3/h. DM Plants are produced as automatic, 2-tank plants (co-currently and counter currently regenerated) and mixed-bed plants in which regeneration takes place on-site or on the basis of service. Mixed-bed is frequently used where stringent requirements for low contents of salt and silica apply. WATERTEC DM Plants have a packaged modular design which is the reason of their competitive prices. WATERTEC's standard range of products covers most process requirements. These plants have a simple structure, are easy to operate, and their design is compact and corrosion-resistant. The frame-mounted plants are quick to install and easy to maintain. 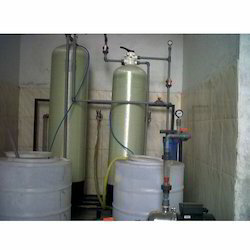 We are well acclaimed as the reliable firm of highly demanded DM Plant. For removing alkalinity physically without using chemicals, these DM plants are used in various industrial applications. Known for their high alkalinity removal efficiency, these DM plants are available with us in strong and weak base cation & anion exchanger. We are recognized as the industry leaders by rendering high-grade Demineralisation Plants. 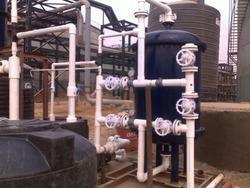 Manufactured by using modern machinery, these systems are used for evaporation of water out of the rejected effluent. The finest size of water particles are generated by these systems and are pushed out mixed with high volume air.